You can order for as many different eggs as you need! 1. Please select a COLOR from the drop down list. 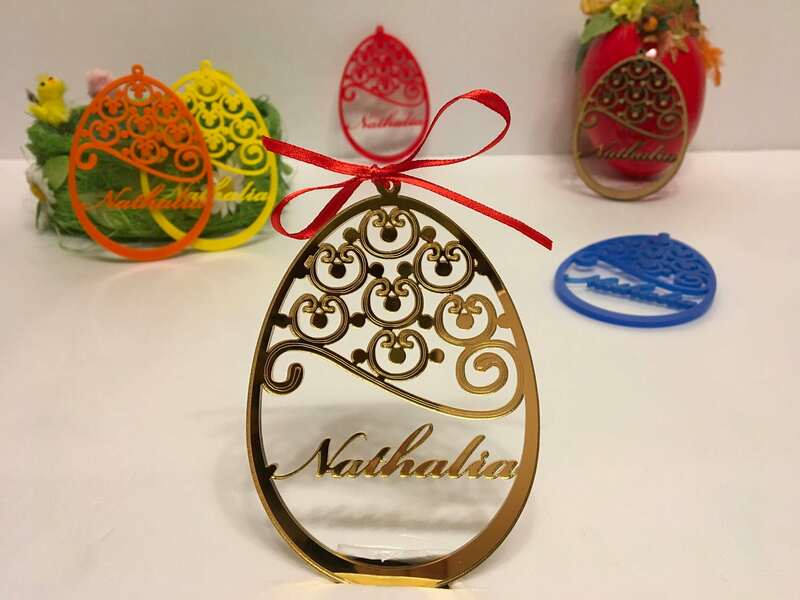 These personalized Easter Eggs and holiday ornaments will add just the right amount of sparkle to your celebration! Perfect for hanging on a Easter day or as place settings at your next holiday party or spring wedding, they will make your guests feel special, and the atmosphere that much more festive. All ornaments are custom-made from colored acrylic sheet or natural wood. 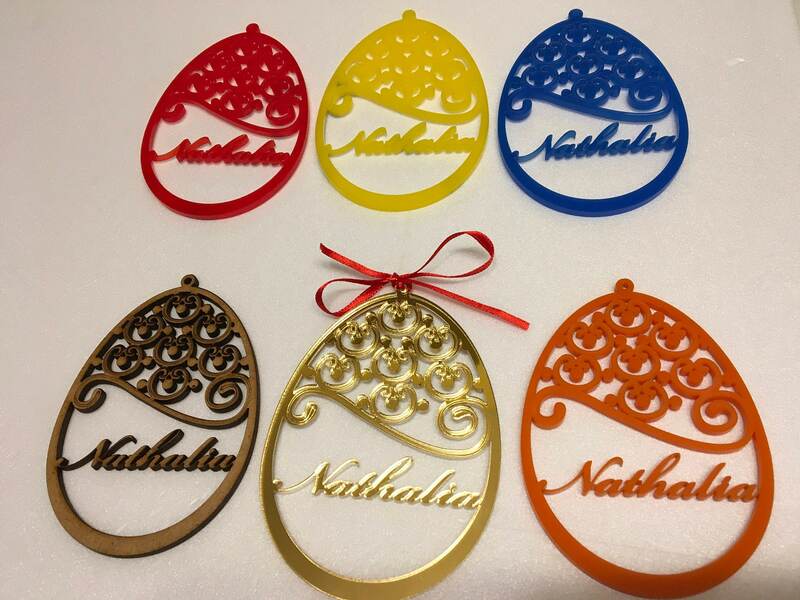 Acrylic ornaments come in a variety of beautiful colors, including orange, green, blue, black, frosted white, and shiny silver and gold. It looks great! Thanks so much!